I'm not a fan of the phrase "the science is settled" with regards to climate change. It's nearly impossible to find an actual climatologist who would ever say such a thing, and with good reason: It's a horribly vague statement. Sure, there are lots of things that the vast majority of the scientific community believes with very high confidence—for instance, that the Earth is warming and that human activity (particularly greenhouse-gas emissions) is causing it. You could call that question "settled." But there are also plenty of other areas marked by sharp debate and uncertainty. Like hurricanes. 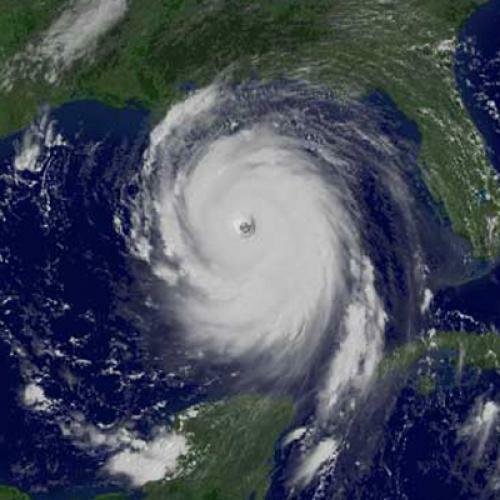 When Hurricane Katrina hit in 2005, there was still plenty of disagreement among researchers about whether global warming would make hurricanes more frequent or more powerful in the future—and whether this trend might be already occurring. One camp argued that warmer ocean temperatures would provide more energy for tropical storms. Other researchers pointed out that hotter temperatures would create stronger wind shear and inhibit the formation of tropical cyclones. And so on. Chris Mooney's book Storm World is a terrific overview of hurricane research and disputes over this issue. Anyway, there's a new paper in Nature Geoscience, written by ten key hurricane researchers from various camps that tries to arrive at a consensus position on this question. Their conclusion? For now, it's too difficult to say whether hurricane patterns have already changed as a result of human activity—past patterns may just be a result of natural variation, especially in the Atlantic basin. Note that this updates the 2007 IPCC report, which concluded that it was "more likely than not" that global warming has made tropical cyclones more frequent. Better research has moved that back to the "it's unclear" camp. But what about future hurricanes? This new study notes that research advances over the past two years have allowed a lot more confidence in projections going forward. The overall number of tropical storms is expected decrease by 6 percent to 34 percent, but the strongest storms that do form are likely to get quite a bit more intense. So, fewer storms, but stronger. The new conclusion almost splits the difference between the various sides of previous debates. It's also worth noting that he Nature Geoscience study doesn't assess whether a "fewer but stronger" trend would cause more or less hurricane damage on balance. 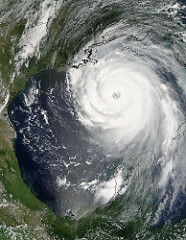 But the paper's lead author, Thomas Knutson, co-authored a different study in Science last month projecting that the Atlantic basin could see twice as many category 4 and 5 Atlantic hurricanes by the end of the century, despite fewer storms overall—and that this could increase total damage in the United States. Then again, the level of damage likely depends far more on how future coastal infrastructure is built.